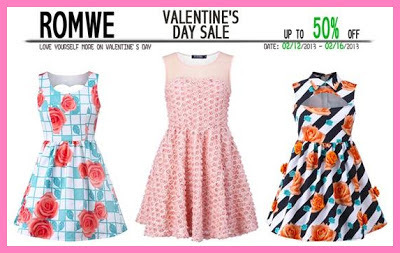 V-day is coming and Romwe's having a V-day Sale which you can view here. The great catch, it is 50% OFF! It's a steal!!! You can always visit their site at www.romwe.com. 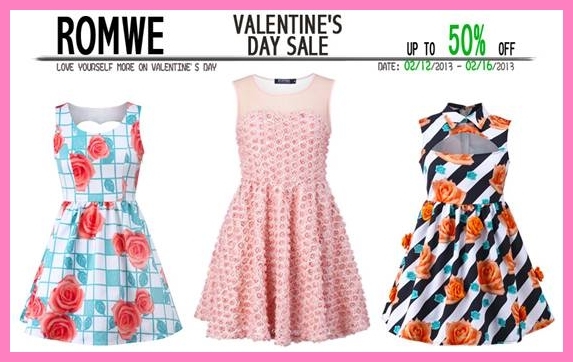 Also, I will be having a giveaway with Romwe coupons at stake. You might want to join the fun! I checked Romwe's site and their items are very fashionable! I would probably be working on V-day :) How about you? 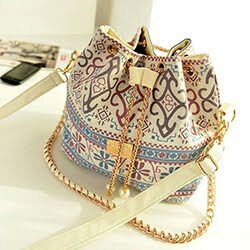 I will be checking the site for dresses for my daughter. She grows up fast kaya I would like to buy bigger sizes na.